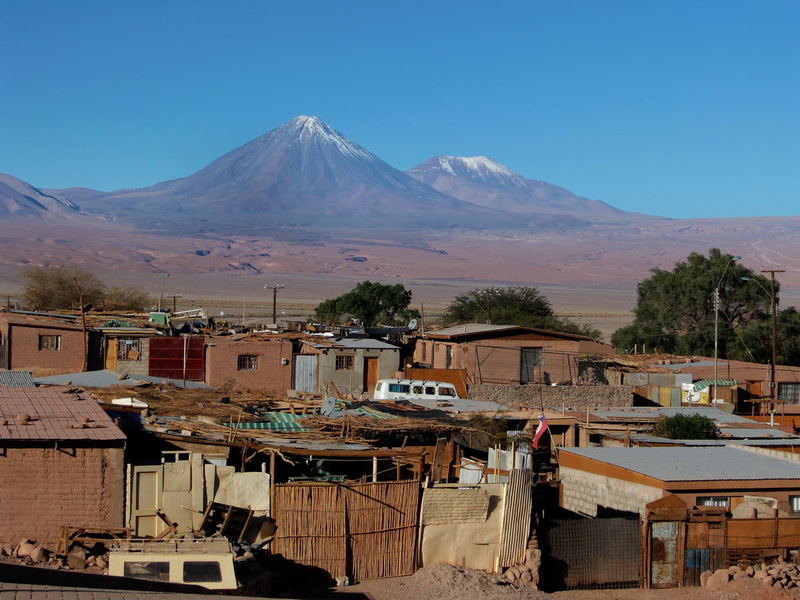 The mountain Volcan Licancabur is the landmark of San Pedro de Atacama. 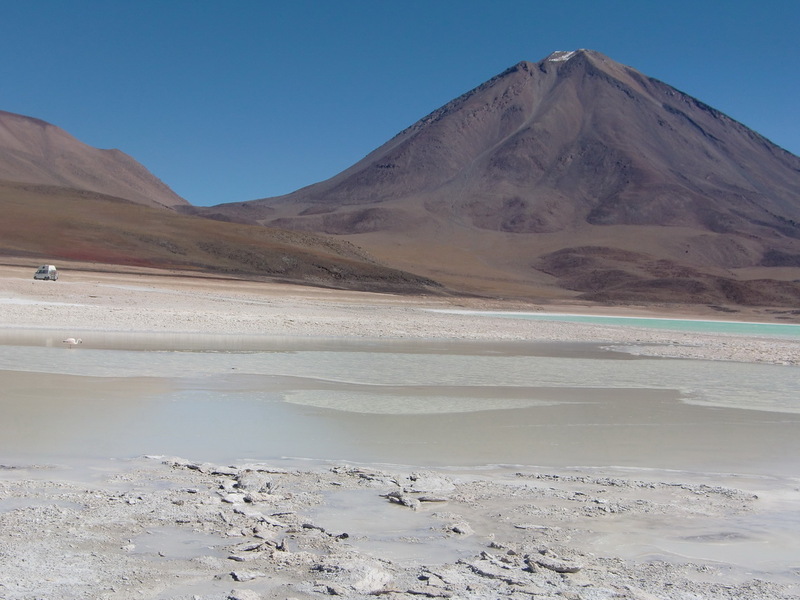 Its shape is a perfect cone, with more than 3,500 meters over San Pedro. 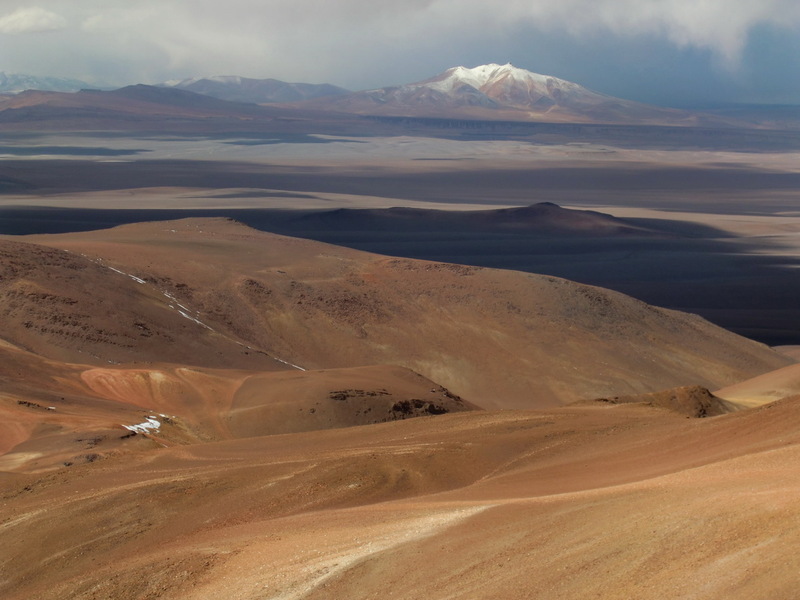 But the ascent is not possible on the Chilean side of Licancabur, because a lot of dangerous blockbusters are on this side and nobody knows where they are buried. 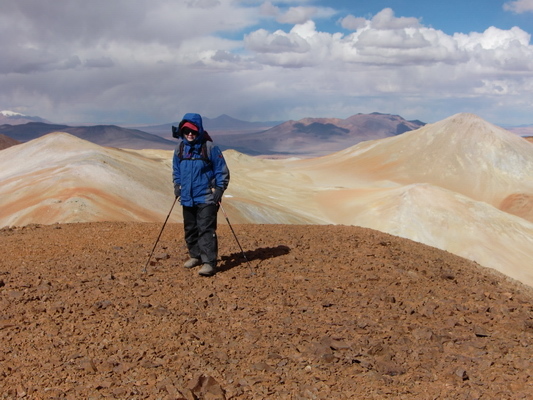 Hence you have to go to Bolivia if you want to climb up Licancabur. 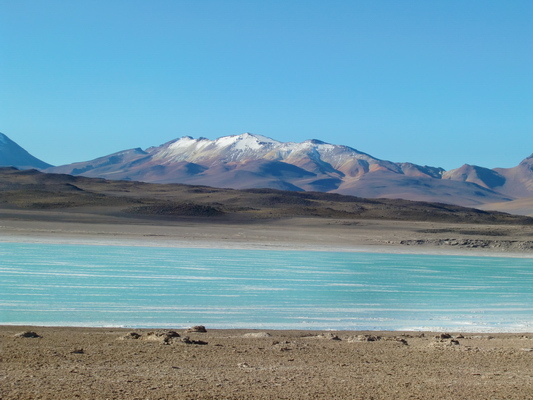 It has one the highest lake of our world in its crater, more than 5,800 meters sea level. 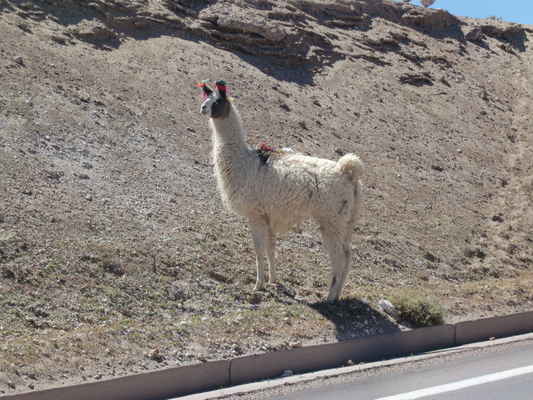 On its foot are some ancient ruins built by the Incas as well as on top of Cerro Incahuasi. 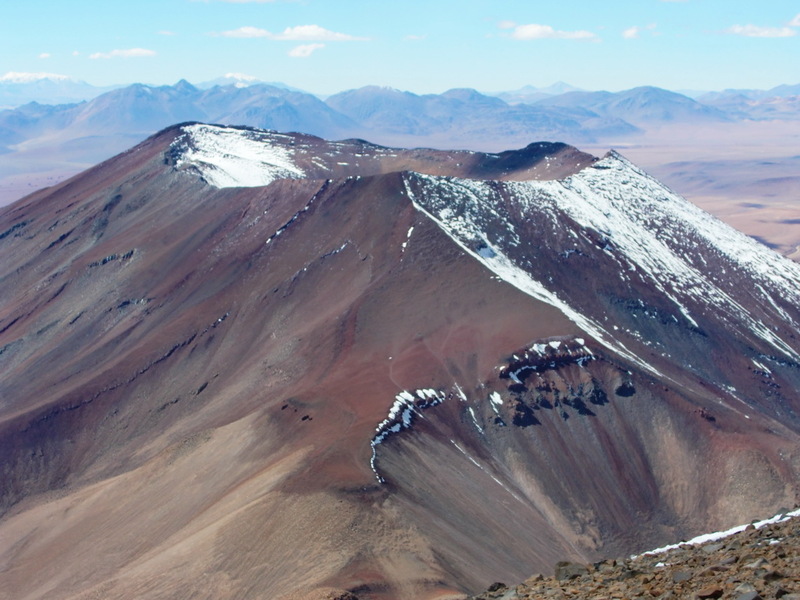 This mountain is closed to the road to the Paso Jama few kilometers North of Licancabur. We drove the first time in our life Bolivia. On a remote frontier building we got our papers and stamps. The area behind the border is a Bolivian National Park. We got the usual permit for four days. 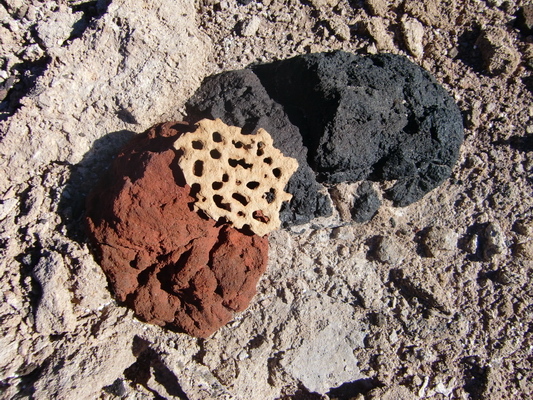 This helped us to acclimate properly, because Licancabur is closed to 6,000 meters high, exactly 5916 meters. But it was mandatory to take a guide for the ascent. We circled the Laguna Verde (green lake), which has an outstanding color. But there is no life, because its green color is caused by the poison arsenic. On the other lake, the Laguna Blanca (white) we saw one flamingo and a lot of other birds. We found beautiful stones with interesting patters around the lakes. Besides the high of approximately 4,400 meters sea level it was pleasant warm during the day. But it became extremely cold in the night, we measured - 19.5°C. The lakes are in a depression; thus the cold air was aggregated at night and could not vanish. When the sun came in the morning, the temperature change was unbelievable fast - up to 1°C every two minutes (from -19.5°C to + 14°C). 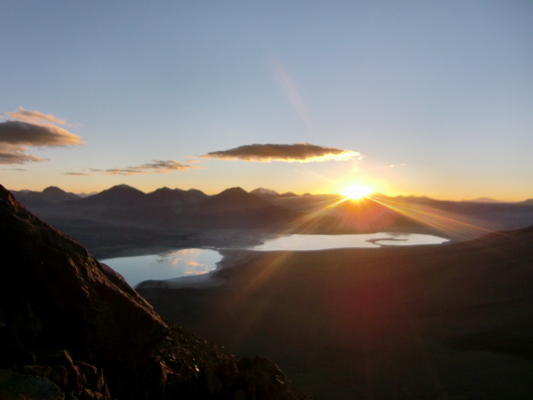 We started with our guide Pedro our trip to the summit of Licancabur very early at 3:30AM on May 6th 2011. 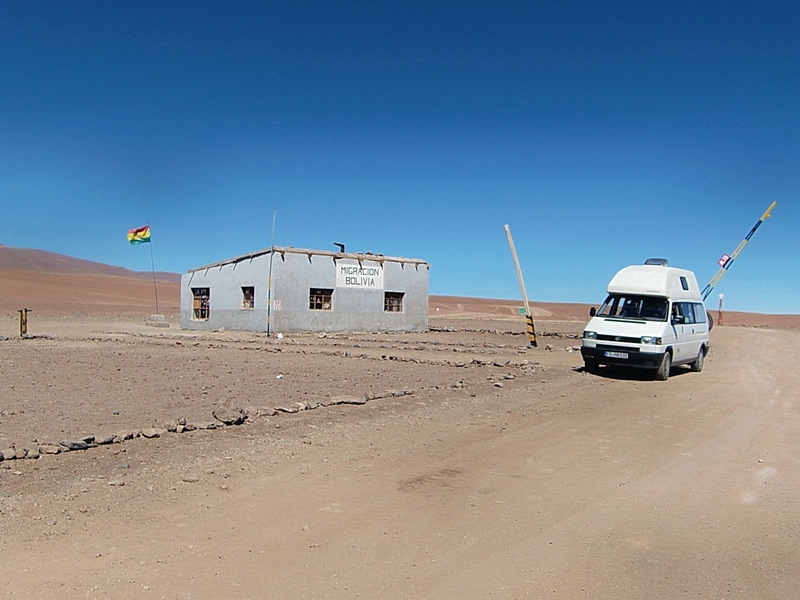 First Pedro drove with his Toyota Landcruiser a very rough dirty street to the foot of Licancabur. We were relieved that it was over after half an hour, because the bumps to our bodies were more or less unbearable. The ascent to the summit is very long, approximately 1300 meters vertical. But the way is relatively steep, so we gained altitude fast. We arrived at the summit at 10:00AM. 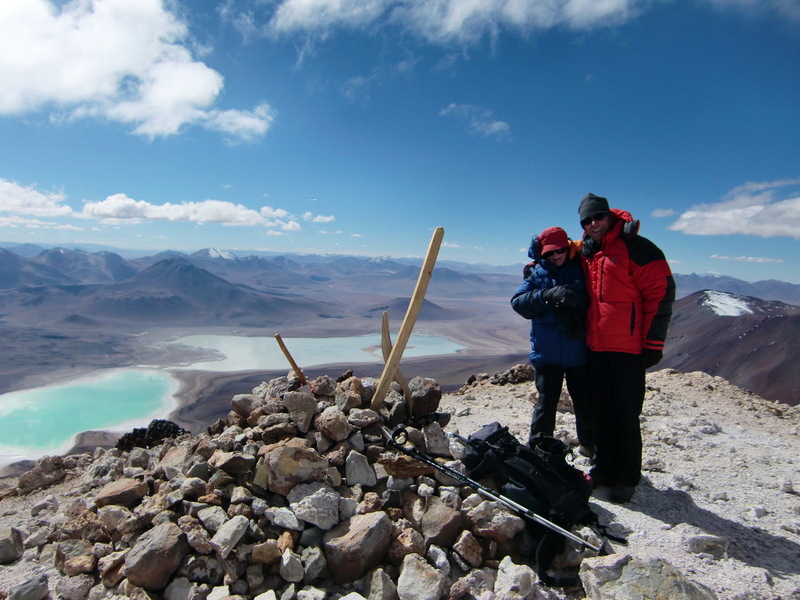 The weather was calm with pleasant temperatures for an altitude of 5916 meters and no significant wind. 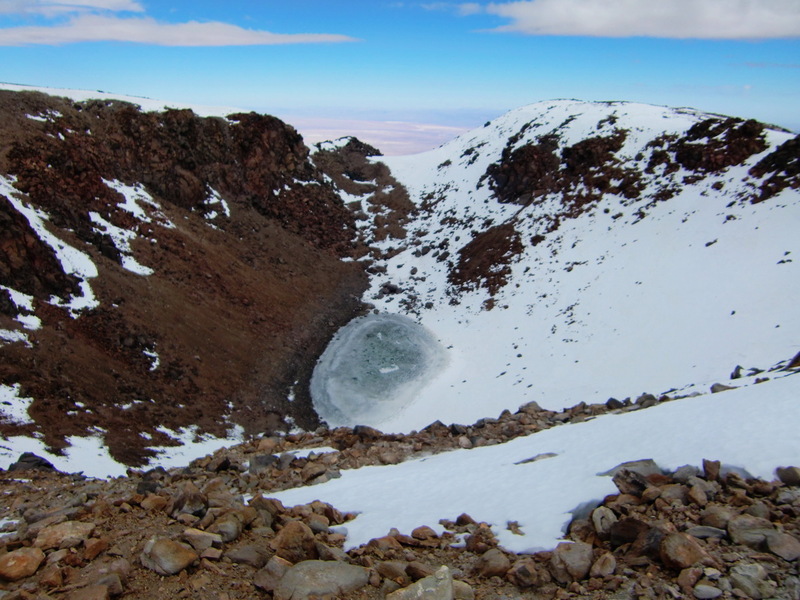 The view was overwhelming, also into the crater with the frozen lake. Pedro was a very pleasant and sympathetic guide. He knew a good and rapid descent from the mountain through some snow and loose scree. We needed approximately 6 hours up, but just 2 down. 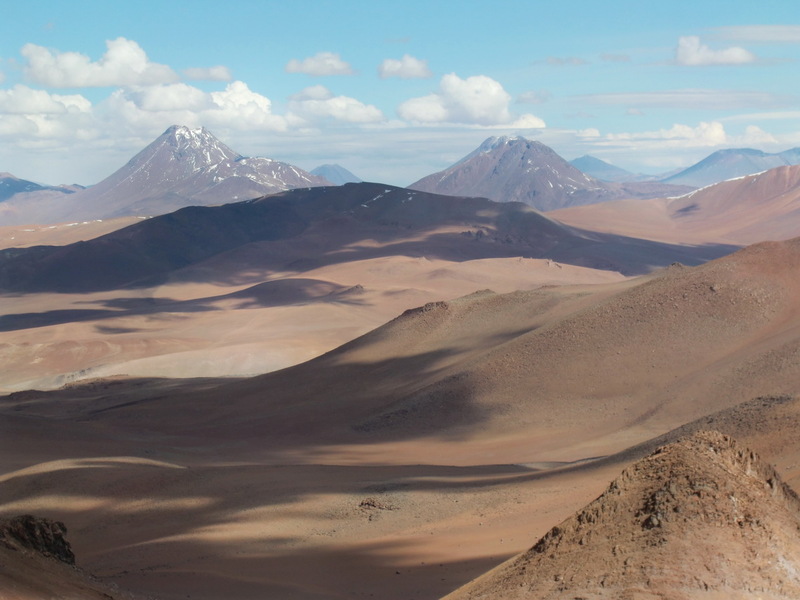 On the next day we decided to climb up Cerro Incahuasi, because it is closed to the tarred road to the Paso de Jama. We were able to drive with our car 1.5 kilometers into the valley up to 4819 meters sea level, probably the highest altitude of our car for ever (GPS coordinates S23 01.154 W67 35.856). Then we followed the valley, turned left in the next valley and walked up the ridge to the summit, 5305 meters height (GPS coordinates S23 00.774 W67 34.463). We had again stunning views, especially to mountains with saltpeter slopes. Our track is included in the GPS coordinates file of Chile. 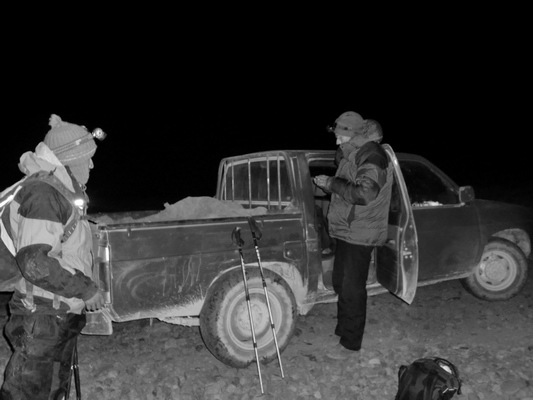 On the next day, May 8th 2011, we crossed the border to Argentina in the hope to get the right shock absorbers there.